India is rapidly acquiring the unenviable reputation as the smog centre of the world, overhauling China, as the capital New Delhi chokes in a deadly combination of construction dust, the burning of agricultural stubble and vehicle fumes. “If you go right now outside and ask people what healthy product you get? Your water is not healthy, your food is not healthy, your vegetables are polluted, they are poisoned. I mean everything is unhealthy right now,” complained one resident. Even seasoned locals are expressing anger at how the city’s problems have been allowed to become an annual trial, and say the government is trying piecemeal responses that are not enough. “So, I wake up in the morning with a big cough. So, we have to wear scarves over our mouths when we go around. Also, we hear that it’s very dangerous. It’s like smoking 50 cigarettes a day. 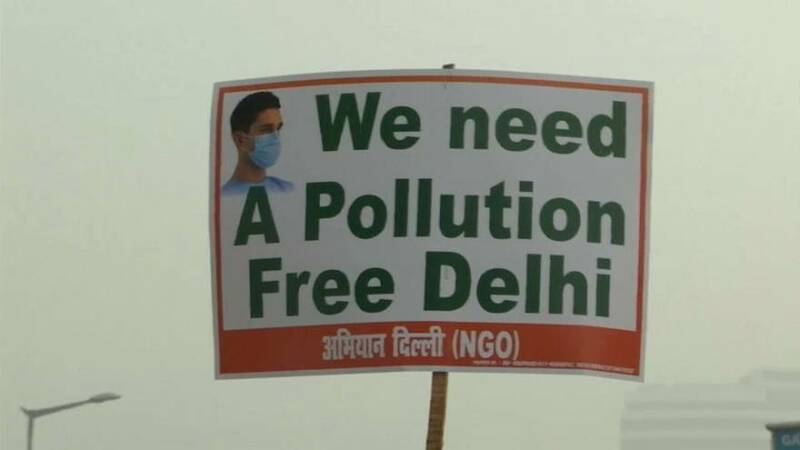 So, we’re now thinking, we wanted to stay more time in Delhi, but we will have to go other place soon to get out of pollution,” said an Israeli tourist. “This is truly a health emergency and what the doctors are telling us today, that the hospitals in Delhi, they have noticed at least 20 percent increase in emergency hospital admissions related to respiratory and cardiac problems for the last two or three days,” said the Centre for Science and Environment’s Anumita Roychowdhury. Fire trucks will spray water to try and lay the dust this weekend with Delhi’s Chief Minister calling the city a “gas chamber”.